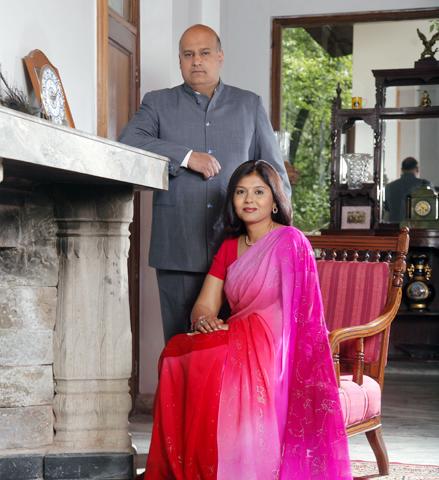 The group came into existence in 1997 when the 489th descendant of the Royal Katoch clan, Tikkaraj Ashwarya Katoch and his wife Tikkarani Shailja restored the old forts and other properties to give our guests the experience of living like a Maharaja. The Katoch dynasty are reputed to have ruled the town of Kangra and its vicinity since time immemorial, a town in what was known as North Trigartha. The kingdom of Trigartha is as ancient as the Mahabharata and extended right up to the areas we know as the Punjab, Uttarakhand and Himachal Pradesh, as well as parts of the Jammu region and Multan (now in Pakistan). Trigartha denoted the land of the three rivers, the Ravi, the Beas and the Sutlej.